It’s amazing how little is happening musicwise this week (these days). The biggest bit of news is that The Waiting Room is undergoing some sort of transformation, according to their weekly email blast. I’ve reached out to one of the club owner’s asking for details, but got no response, and since they virtually have no shows this week… well, we’ll just have to wait and see. What more could they do to the place? A few days ago, Reb Lowry of All Young Girls Are Machine Guns (AYGAMG) emailed saying she launched a Kickstarter campaign to help fund the pressing of a two-song 7-inch single. She’s trying to raise two grand. You can help her out here. Harsh. Ars concluded: “No amount of testing (with PonoPlayer) made 192kHz/24-bit FLAC audio sound noticeably better than high-quality MP3s.” Plus, Pono doesn’t have a “hold” button? What? Let the battle rage on. Apple owns this market and will until Spotify begins to produce its own (unnecessary) player, which I have to believe is just around the corner. 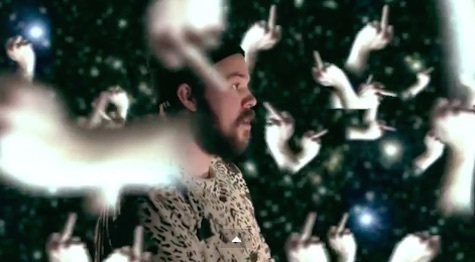 Sam Martin has a new video out called “I Like to Hide” from his new album, A Notion In an Ocean. He shot, edited and directed the whole damn thing. Sam’s music reminds me of Harry Nilsson. I have no idea how Sam will take that comment, but it’s meant as a compliment. And if you don’t know who Nilsson is, Google him. You’re missing out. Lincoln music’s annual coming out party, Lincoln Exposed, kicks off tonight and runs through Saturday. The Zoo, Duffy’s and Bourbon Theater team up for this 4-day event that showcases some of the hottest bands in the Star City. Your $7 cover gets you into all three venues all night. If you’re planning on making a week of it, pick up the $20 all-access pass that gets you in all week. The full sched and other details are online at the event’s Facebook page (right here). What else is going on tonight? Well yesterday I think I mentioned the Corrections House show at Slowdown Jr. and said it was a band that featured members of Neurosis, Eyehategod and Yakuza. Wrong wrong wrong. In fact it’s a night of performances — four solo performances, to be exact — featuring Scott Kelly of Neurosis, Mike IX Williams of Eyehategod, Sanford Parker of Nachtmystium, and Bruce Lamont of Yakuza. The sets will include experimental, spoken word, acoustic and “end times collaboration,” whatever that means. Opening is Saint Christopher. 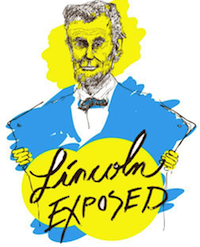 $13, 9 p.m.
No doubt you’ve been hearing the buzz about last week’s Lincoln Exposed festival. The shockwaves are still being felt throughout the Unicameral. Lincoln Exposed major domo Jeremy Buckley gave me the post-mortem on this year’s event. He organized the event with Dub Wardlaw from Duffy’s and Josh Hoyer from the Zoo bar. He said most of the venues (Bourbon Theater front room, Duffy’s, Zoo Bar) were close to capacity Friday and Saturday nights. The weekend’s biggest draw: Universe Contest, a band that Buckley said gets compared to Modest Mouse. “(They) used to be Gooses, couple different members,” he added. Eli Mardock was the biggest draw Wednesday night. 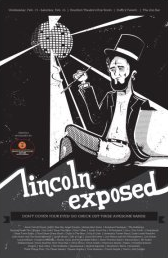 What’s the coolest thing about Lincoln Exposed other than the music and the booze? Like every other Jeremy Buckley production, every one of the 60+ bands and performers got paid. I know the idea of actually paying bands seems alien and strange to most of the organizers of local “festivals” held in Benson and other clubs around town, but Buckley somehow manages to get it done. Fact is, paying the bands is one of the reasons Buckley is able to attract the best local bands to participate at his festivals. So what’s the next Jeremy Buckley production? The 9th Annual Lincoln Calling Festival, coming to the streets of Lincoln in mid-October. Read Tim McMahan’s blog daily at Lazy-i.com — an online music magazine that includes feature interviews, reviews and news. The focus is on the national indie music scene with a special emphasis on the best original bands in the Omaha area. Copyright © 2012 Tim McMahan. All rights reserved.